Experience a great way to maintain good health in you and your horse. Shiatsu treatments can prevent illness arising and also help a speedy recovery when there is already an existing ailment. 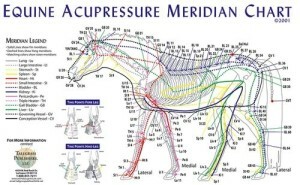 It helps to revitalize and support the horse after the strains of being ridden. 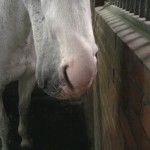 Regular sessions will support your horse in training and development. Click here to read more about the benefits that Shiatsu can offer your horse and the treatable conditions. Alexandra will explain and show you techniques, which will then allow you to treat your horse. She may include her experience of ground and awareness exercises based on the methods of Linda Tellington-Jones as well as free schooling in a picadero.